This Guidebook is intended to be a straightforward, practical companion to the use of tools like Scopus and SciVal, which are a part of the Research Intelligence portfolio of solutions. It provides some facts about how the data underlying the metrics are used, how the metrics are calculated and displayed, and about variables besides performance that can affect the metrics. It also provides some suggestions about situations where the metrics are useful, when care should be taken, and how shortcomings may be addressed. 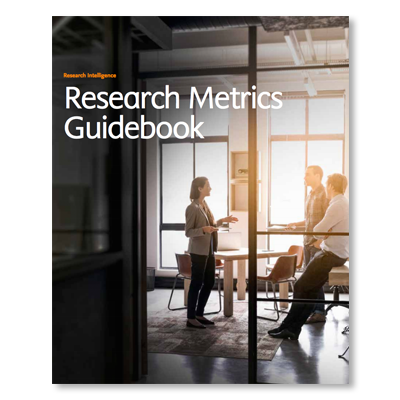 Download the guidebook now as your companion to get the most out of Scopus, SciVal and their metrics.